Get to where you need to be at Newark Liberty International Airport and get an idea ahead of your trip on where you need are heading. Standing proudly as Jersey’s biggest city, Newark is not only a busy place to find yourself but an exciting one. Make sure there’s never a dull moment by taking care of business while enjoying the little things on the way, from morning coffee that compliments Jersey’s Atlantic sunrises to the countless restaurants that showcase the best of the northeast alongside recognizable retailers. Make things easier on yourself by reserving your parking spot online, giving yourself the gift of premium care and zero hassle. You can also treat yourself to valet by dropping your vehicle off in good hands next to Lot P4. 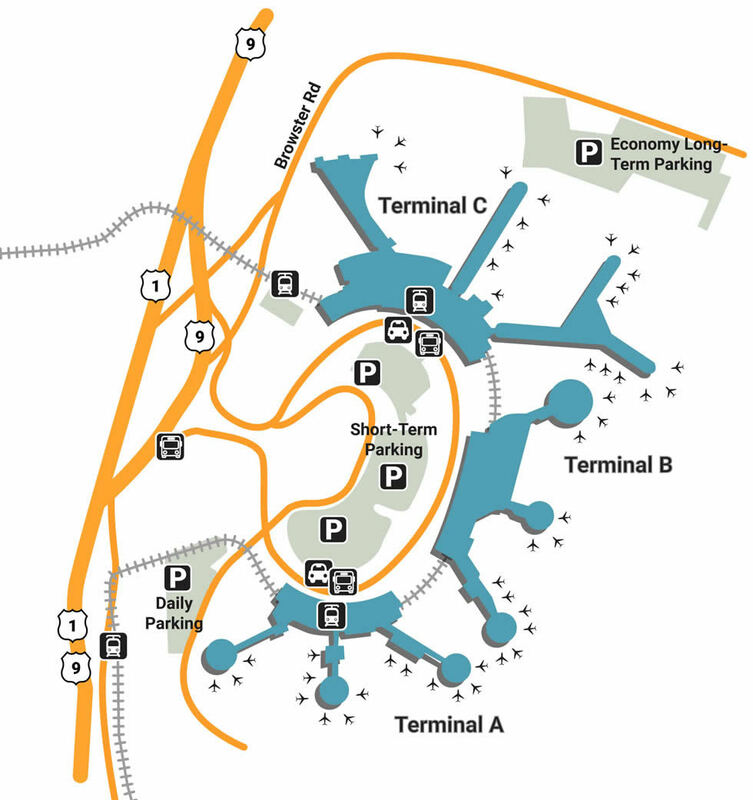 If you’d rather take care of yourself, utilize Economy Lot P6, located between Terminals A, B, and C, the perfect spot for long-term travelers. With shuttles that depart every 10 minutes, you’ll also be able to get to the tarmac as soon as you step out of your vehicle. If the bare minimum is all you need for an airport to be tolerable, Liberty International Airport has got more than enough to keep you occupied. With a slue of charging stations scattered throughout every terminal as a pet relief area located in a beautiful courtyard (pre-security), you’ll have a good balance between the digital and the natural. There’s also a nursing suite located near Gate A30 in case there’s an emergency as well as helpful tips at Travelers Aid located at the front. If you have any further questions, you can head over to the Welcome Center outside of baggage claim. Nothing gets rid of the anxious ticking of time than idle eyes wandering toward shiny new toys. Grab the latest novel everyone is talking about at Hudson Booksellers (A30-A39) for a relaxing trip in the sky, or get the latest gadget at Tech on the Go, located at A10. If you’re traveling as a family, get something for the little ones at Creative Kidstuff (A30-A39), a great place to get a toy that not only entertains, but educates. If you’re in need of something that goes with your outfit, visit Touch of Color for a hot pink explosion as well as bags that come in subtle shades. The fun doesn’t stop at stores, but in fact gets better with food. Get a cup of joe at Abica Coffee, located right after security beside Gates A20-A28. If you’re woke enough, skip the coffee and grab lunch at Jersey Mike’s Subs, a tasty restaurant that serves fresh ingredients with a deli selection that perfectly reflects the state’s love of sandwiches. If you’d like to try out some authentic Atlantic seafood, head over to Phillips Seafood (Concourse for Gates A30-A39) for platters that look like they came straight out of the sea. There’s also a food court at the heart of the facility, which is home to familiar restaurants like Qdoba Mexican Grill and Villa Pizza.